Has anyone tried to obtain more ground clearance on the Hymer Aktiv 2.0 loft model by adding a lift kit with larger tires or just larger tires? I plan to add an Off Highway Van lift kit to my ProMaster custom build. Best thing about their kit is it actually lifts the rear axle. 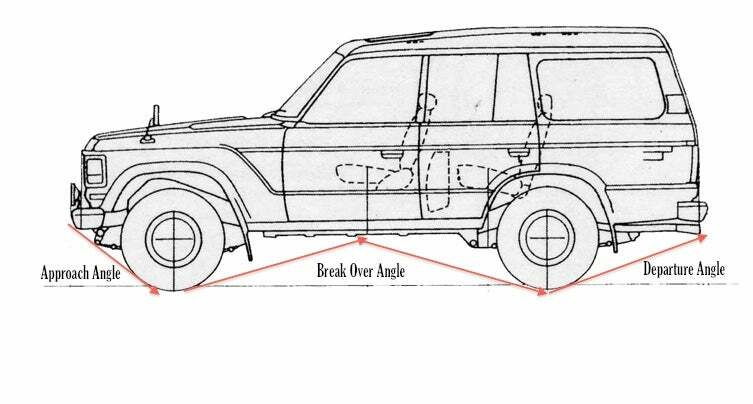 Instead of adding spacers that merely increase the space between the body and the axle (leaving the axle ground clearance the same but increasing the body clearance) they use a spindle lift that attaches directly to the wheel hub assembly and moves the axle up, relative to the center of the wheel. I'll try to remember to post back here about results after the lift is done. Especially if they are also doing a knuckle lift in the front, be aware that knuckle lifts often will mess up the suspension and steering geometry. I don't know the rear suspension on them to tell if might do the same there. You will also have driveshaft angles that may need to be checked and the heavy weight of the van will make that more important. If possible, it is always desirable to drive one with lift and hopefully weight to see how they drive. Knuckle lifts have been very spotty with success and I think a lot has to do with tolerance of the driver for changes to handling from stock, especially since Promasters appear to handle quite well in stock form. Please educate me. What's a "knuckle lift" and are there any viable alternatives? Where have you found need for greater ground clearance than standard? Are you doing serious offroading? Or have you found that the standard ground clearance isn't sufficient for dirt/gravel campground roads? I ask because I'm wondering whether my van (which I don't have yet) will need lifting. We've actually never had a problem on gravel or unpaved roads, and we do travel on BLM and Forest Service unpaved roads whenever possible. But more than once we're bottomed out on paved roads where there was a steep cross slope for storm water management. That's because we installed a second / auxiliary alternator (from Nation's Starter and Alternator) which hangs low in front of the engine. We also installed an 11 gallon LP tank in back, where the spare tire was. (Moved the spare forward to make room.) Neither addition reduced our vertical clearance, but they did reduce our approach and departure angles (the clearance when approaching or backing into a slope--see below). Thanks! That makes it sound like I probably won't need to lift mine, which doesn't have those additions. That's good news! You will be able to find some pix and videos of knuckle lifts via Google, but this is the condensed version. A knuckle lift is a lift the raises the vehicle by adding height right at the wheel attachment. It is really just a fancy spacer for the wheel mounting. This means essentially all of the vehicle goes up with the exception of the wheel mounting and wheel. The other parts of the suspension in that area would go up on the body end and not go up the wheel end. Knuckle lifts change the position of the wheel rotation points and road contact point of the tire in relation to the other suspension and steering points and can cause handling issues, some of which may be quite unpleasant. There are several threads on the forum discussing lifts, so if you are glutten for tech detail you could check them out. IMO, the best way to evaluate how well a knuckle lift works on a particular vehicle is to drive one yourself that has been lifted with that product. Not all knuckle lifts are designed the same so results can vary a whole lot between manufacturers, who often are serious off road folks and tailor the products to that crowd. This can make them not a good fit for a camper vans sometimes. Reviews on lifts can help, but tend to be biased heavily toward liking them compared to what many of us would accept in negatives, so beware careful with reviews. There are really very few options if you want to get 4" of lift in most vehicles, and no others if you want all the vehicle to go up except the wheels that I know of. I think the best way for a normal lift is to perform major surgery and space all the suspension and steering parts down from the rest of the vehicle. This means moving all the suspension attachments as well as the steering linkage and steering box, and is a huge job to do. I think I have only seen one vehicle ever done this way. You can usually get lower amounts of lift by using taller springs but you quickly run out of travel of the stock suspension. 2" max would probably be typical for many vehicles. You can get an idea of how high you could go by measuring the suspension downtravel from the stock location. A knuckle lift is a lift the raises the vehicle by adding height right at the wheel attachment. It is really just a fancy spacer for the wheel mounting. Ah, I understand now. In that case with the kit we're planning to use, the rear wheels will get a knuckle lift, but not the front. In front, there are spacers added to the struts, so the relationship of the wheels to the axles remains the same, but the body-to-axle dimension will be increased about 2.5". That gives more wheel well clearance, so we can add tires with an extra inch of radius to get the effective lift up to 3". Based on your prior comments about potential damage or increased wear due to changes in the drive shaft angle, I'm going to have our usual mechanic throw it on his lift and examine the drive shaft and suspension to see what he thinks. Wise choices of what to check. Drive shaft angle will be interesting as one side is usually quite short so angle may change quite a bit. The other things you will be able to see with it on the lift would be the tie rod angle to the wheel to see how much that changed, as well as the lower control arm angle. The strut spacer is effectively the same thing as doing a taller spring, geometry wise.